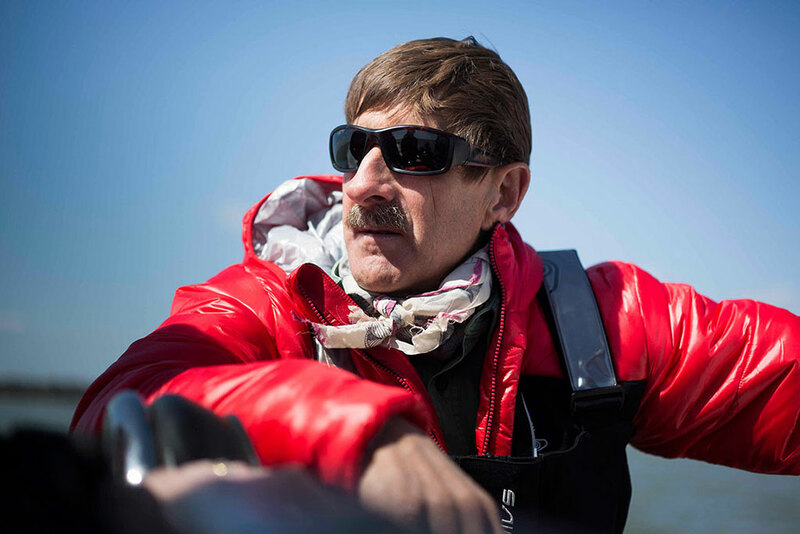 Skip Novak is widely considered the world’s preeminent authority on polar sailing. In 2016, Skip joined EYOS Expeditions as Director of Sailing Operations, combining his unsurpassed expertise in both sailing and motor yachts under one company. Skip’s notable sailing includes four Whitbread Round the World Yacht Races since 1977. In these races, he navigated the British Cutter Kings Legend to 2nd place, and Simon Le Bon’s Drum to 3rd place. He also was project manager and skipper of the Fazisi, the first Soviet entry in the Whitbread Race. In addition to sailing, Skip is a skilled mountaineer, and has partaken in climbing expeditions to Antarctica, South Georgia, New Zealand, the Alps, East Africa, Sikkim, Nepal and Patagonia. In 1987, Skip designed the expedition yacht Pelagic in response to his desire to combine his two passions of skiing and mountaineering. In 2003, he built the larger, 23-meter Pelagic Australis. As the builder and operator of both Pelagic and Pelagic Australis, he has traveled to Antarctica every year for three decades and set new standards in expedition yacht construction and design. He continues to operate both vessels under charter for Pelagic Expeditions. Skip is frequently asked to comment on high latitude adventuring and ocean sailing by radio, TV and print media. He is a regular contributor to many sailing magazines worldwide and currently has a monthly column for Yachting World. In 2015, Skip was awarded the prestigious Blue Water Medal from the Cruising Club of America for his lifetime of voyaging to high latitudes. In 2016, he was awarded the Tilman Award by the Royal Cruising Club of London for his work pioneering Antarctic sailing expeditions.